There’s nothing more uncomfortable than dealing with people you don’t know – especially when money is involved. So because of this, you need to be extra careful and more mindful during the car selling process. So how should you safely go about it? Makes sure callers are serious about buying and aren’t up to anything dodgy. Ask lots of questions and find out what they’re looking for and actually wanting from you. The more you engage them, the more ‘feel’ for them you’ll get. To be contacted, you first have to give out your information; a phone number, email address, twitter handle – it really doesn’t matter which one. 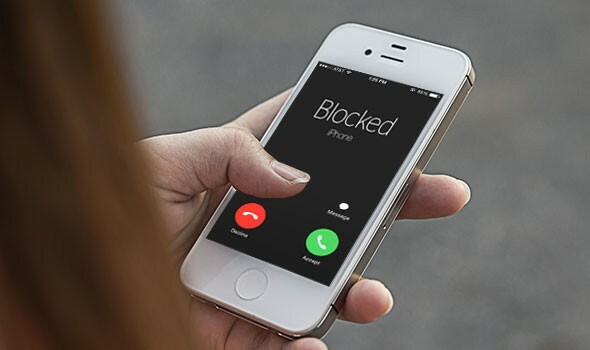 If you get a call from a blocked number, then maybe don’t answer. When you think about it, blocked numbers are rarely, if ever, from anyone you want to talk to. And besides that, when you answer a blocked call, the caller already knows a lot more about you than you do about them. Never meet anyone alone – ever! It doesn’t matter if they sound like a sweet old lady. Fact is, you can’t be completely sure. So, always go with someone. Preferably, in a public, well-lit and populated area. The age old about holding the keys to someone’s car while they take yours for a test drive is no good. What if it’s rented or borrowed, or even worse, stolen? And what happens if they damage your car? Are so keys they gave you going to fix your car? What about when you’re in the passenger seat of your car with someone you wouldn’t even speak to if they were your waitress. People tend to drive a car they’re considering buying much harder than they normally would, just to see what it can do! A perfect stranger hot-rodding your car can be a little frightening – to say the least. Giving out your home address just isn’t a good idea for many reasons. One being, honest people have normally have nothing to hide, so they’ll give out information that someone could potentially be used against them. “I’m never home before six”, for example. All of a sudden a complete stranger knows that your home is potentially uninhabited. And even if they don’t want to burgle your home, they know where you live. And if for some reason the deal goes bad, an irrational buyer knows exactly where you live. The gist of all these topics is to just be smart and trust your instincts at days end. If something doesn’t feel right, then don’t go through with it. Remember, your personal safety is priceless, and certainly not the worth the price of a car.